The Airplane - How did living standards change in the 1920's? How did living standards change in the 1920's? First airplane flight ended in disaters and crashes. 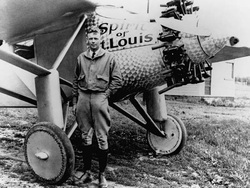 Henry Ford invented the first tri motor . One of the ,ost well known transport airlines.The Lockheed Company made a single-engine plane called the Vega. Pan American Airways made the firat transalantic passenger flights. This video explains the way many reacted to the new planes developed in the 1920s. Peoplpe were amazed with the new freedom that planes provided. They could now fly anywhere. There was an extra big development of the airplane in the 20s because people wanted the explore the boundaries that the airplane could take humans.These tricks are examples of this.